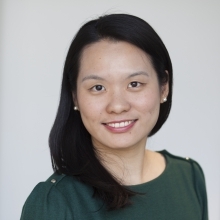 On 6 December, Bowen Gu, Investor Engagement Researcher at the Access to Medicine Foundation, will speak at the RI Americas Conference in New York, USA. Bowen will join a panel discussion titled 'Investing in short-term profits and long-term risks - is the pharmaceutical industry business model destroying or creating value for long-term investors?' She will speak about the key findings from the 2018 Access to Medicine Index and the Access to Medicine Foundation’s investor engagement programme. The RI Americas is an annual gathering of sustainable business and investment professionals. This is the tenth year that it is being held in New York. The conference will engage with North America’s largest investors on key responsible investment issues affecting local markets and the rest of the world. Also taking place in New York, on 7 December, the Access to Medicine Foundation will host the launch of the 2018 Access to Medicine Index with Goldman Sachs. This event forms part of a series of investor launch events taking place in London, NYC and Tokyo. 82 institutional investors, collectively managing assets in excess of $11 trillion, have already committed to using the Access to Medicine Index in their investment analyses and engagements with companies, by signing the Index investor statement. The Sustainability Accounting Standard Board (SASB) makes explicit reference to the framework of the Access to Medicine Index in the recently published SASB Standard for the Biotechnology & Pharmaceuticals industry.